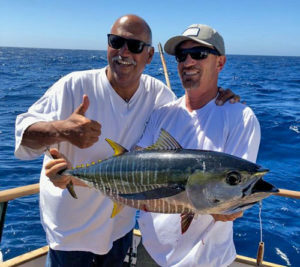 Below is a list of the best Southern California and San Diego fishing guides and sportfishing charter services that will provide you with the best possible experience on the water. Our list includes seasoned guides and charter Captains ready to take you fishing – whether you’re looking to catch giant world-class largemouth bass or do battle on the Pacific Ocean with tuna, dorado, yellowtail and more. Captain James Nelson has been fishing the bays and lakes of Southern California for more than 40 years. He is one of the most diverse guides in the area, providing guaranteed catch trips on San Diego Bay, Mission Bay, saltwater, and local lakes. Nelson is one of the region’s few full-time fishing guides; on the water more than anyone. 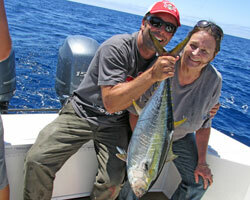 This experience makes him one of the premier guides in San Diego. If there is one guide to fish with in San Diego, it’s James and his diverse list of fish species including halibut, bass, and bonefish. He holds the IGFA Captain’s Record for Largest Pacific Bonefish caught by one of his clients. Nelson is an experienced professional bass tournament angler as well. So if a trip to the lakes is what you’re after, James is the guy. All trips are personalized to fit the specific goals YOU have for YOUR fishing trip. He offers military discounts, and kids fish free! All tackle, bait, snacks and soft drinks are provided aboard a fully equipped 22′ Skeeter ZX2200 powered by a reliable 250 HP Yamaha Four Stroke Outboard. 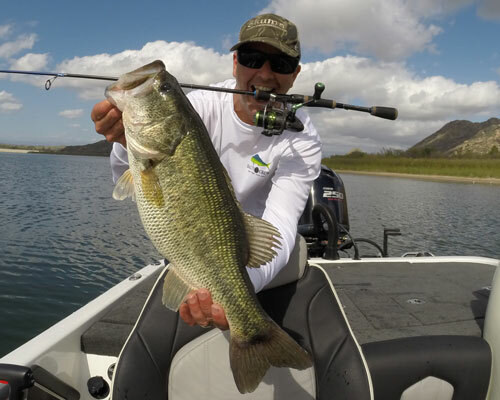 Art Hill is one of the top guides in all of Southern California, consistently helping his angling clients catch the biggest bass of their lifetime. Whether your goal is to catch more bass than you ever have in a day, set a new “personal best”, or to become a better bass angler by learning new techniques, Art Hill is qualified and dedicated to help you achieve those goals. Art is an expert on all of the San Diego area lakes, with over 30 years of experience bass fishing on them since the early 80s. He is also one of the original and most experienced guides on Diamond Valley Lake, and has been guiding there since the lake first opened. 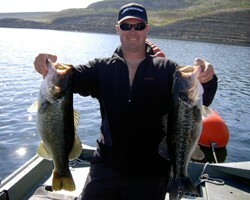 Tom Lowery has over 25 years of fishing experience on Southern California Lakes. He is based in beautiful San Diego California. 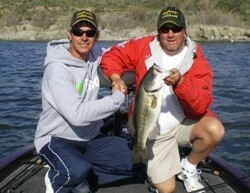 Tom has many tournament wins and over a dozen BIG BASS of the tournament awards fishing Southern California Lakes. A day on the water with Tom may reward you with catching the bass of a lifetime. 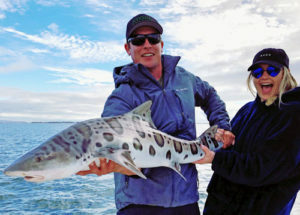 Tom’s unique service offers Guide Trips and/or Private Fishing Lessons. He customizes how you want to spend your time. Whether you want a fun relaxing day catching bass, learn structure fishing, do some “how to” stuff, or fish for that BIG bass of a lifetime, Tom will provide you with a great experience and you will learn a ton about fishing. Tom is an expert on his local San Diego Lakes; San Vicente, El Capitan, Otay, Hodges, and Murray. He also fishes Perris, Diamond Valley and other Southern California Lakes. Most of these lakes are within 1 hour of downtown San Diego. Captain Alan Clowers has over 25 years of fishing experience on Southern California lakes, bays, and oceans. 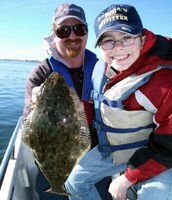 He offers guided fishing trips, private fishing lessons, and San Diego Bay tours. Clowers is no stranger to putting fish in the boat, and his skills have been tournament proven with 10 team tournament wins, 8 big bass awards and dozens of top 5 finishes. Unlike many other guides, Clowers is experienced with live bait as well, and for those interested, can guide you to big bass using crawdads. He has caught hundreds of bass over 5 pounds on our local reservoirs using crawdads. Each trip is catered to your needs, whether it be to learn specific techniques or just have a good time catching fish. Captain Clowers operates his bay and saltwater trips out of a fully loaded 25 foot Chris-Craft cuddy cabin, ensuring a safe and comfortable trip offshore. His freshwater trips are done aboard a tournament loaded 20 foot Ranger bass boat. Jim Hallauer is an accomplished tournament angler with over 20 years of experience on these local lakes. 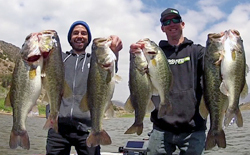 His understanding of the lakes is tournament proven to be among the best as a former “Angler of the Year” in San Diego’s most competitive team tournament trail, National Bass West as well as U.S. Anglers Choice. He has also served several years as a fly fishing guide in Alaska, polishing his customer service skills on some of the most challenging waters in the U.S. with a wide variety of clients of all skill levels and expectations. That combination of tournament proven success and his experience guiding clients in extremely challenging settings make him one of San Diego’s premier fishing guides. Hallauer puts only the finest equipment in the hands of his clients, and operates all of his bass trips on his fully loaded Ranger Z520 dual console bass boat powered by a reliable Mercury 250 ProXS. Captain Brian Morris has been fishing San Diego for twelve years now. His fishing experience has ventured to many regions around the world including the Outer Banks of North Carolina, Micronesia, Panama, the Azores, Hawaii, Mexico and the Mediterranean Sea. Capt. Brian has learned to adjust to techniques and cultures in many of the locals. He doesn’t limit his abilities to fish just one type of fishery as there are so many different species of fish out there. San Diego bay fishing reminds Capt. Brian of the freshwater fishery growing up on Coastal North Carolina. It was there that he was exposed to 4,800 square miles of prime bass fishing. He recalls, “You really had to work for it and be willing to travel in your bass boat”. The same techniques are used here in California for bay bass, calico bass, and halibut. Off shore is where Capt. Brian really shines. His extensive knowledge of pelagic fish behaviors such as wahoo, marlin and tuna is extensive. Dorado are everywhere offshore and probably the easiest fish in the ocean to catch says Capt. Brian. Southern California offshore fishing is one of his favorites! Fishing is what Capt. Brian does for a living so if you’re an adventurous fisherman or a novice, Capt. Brian would love to get you on the water! Todd Kline grew up fishing in South Florida but has been living in California for the past 25 years. As a bass angler, he has risen to the top on a national level, winning the FLW Rayovac National Championships in 2015 and claiming back to back Angler of the Year in the FLW Western Series in 2013 and 2014. The knowledge that Todd has gained from fishing in FL, competing in tournaments with FLW, and 25 years of experience in California make him one of the most sought after fishing guides in the region. Todd’s goal is not to just put you on fish, but to pass along his knowledge and techniques so that you become a better angler. Kline offers both 1/2 day (4 hrs) and full day (8 hrs) trips on the best lakes in San Diego, as well as Diamond Valley Lake, Lake Perris, and Lake Skinner. You will not only fish with a great guide, but you will fish from a tournament rigged Skeeter Bass boat. Water and Gatorade is provided at no additional cost. Growing up on the Texas coast Capt. Kevin Cibulka began his career fishing in the Gulf of Mexico; After many successful seasons running offshore 6 pack charter boats ranging from 31’ to 55’, he found himself wanting a different venue to fish and establish his own charter operation. It was then, almost 20 years ago, he made his journey to San Diego where he started his family and San Diego Charters. Being based in San Diego Bay has provided Capt. 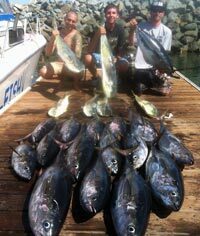 Kevin and San Diego Charters with the opportunity to offer a variety of charters to tourist and locals alike. Our 36’ Grand Banks Trawler, Lady Grace, has multiple bedrooms and bathrooms to give every guest a comfortable ride. This platform is suited well for drifting the bay targeting halibut and bass, as well as many other species found in the bay with her long open rails and large inset cockpit. Her comfort and range also provide the offshore angler with the opportunity to target tuna, marlin, and many other pelagic species found in the warm water months on the offshore banks of San Diego and south along the Baja peninsula. Lady Grace is powered by dependable, clean running and economical diesel engines. She has multiple decks providing ample space for anglers and passengers as well as providing better perspectives for spotting fish and viewing the scenery and wildlife. Grand Banks trawlers have a solid reputation among boaters and are known as having great layouts and unmatched sea handling ability. Captain Eric Risen brings over 20 years of local fishing experience to the table in offering both inshore and bay trips in San Diego aboard his beautiful 24’ center console Skeeter SX240 Bay Boat. Risen grew up in these waters, cutting his teeth on San Diego Bay before proving his skills in local saltwater tournaments before eventually starting his own charter business. He’s also worked as a professional mate aboard the 106’ yacht ‘Venture Mode’ and holds a Bachelor of Environmental Science Degree, making him a very well rounded and experienced angler and Captain. Eric prides himself on being knowledgable, social, enthusiastic and eager to provide you and your party a great fishing experience! Are you a fishing guide? Want to be listed here? Submit an inquiry by clicking here.